After you’ve gone through the process of building your website, you’ll probably want to start attracting as many visitors to your digital destination as possible. And considering that a significant segment of your traffic will likely come from search engines, doing all that you can to ensure your site ranks highly on SERPs should be a top priority. That’s where inbound links can make all the difference. Not all inbound links are created equal, though. To help you develop an understanding as to which ones can help—or hurt—your website, here’s a quick primer on how to create quality backlinks. Once you’ve learned why backlinks matter, it’s time to start getting as many of them as you can. Yet when beginning to learn about how to build backlinks to your website, you’ll likely encounter a wide range of advice from the tech blogosphere. And that advice is likely to vary substantially based on when it was first published. This is because various tactics used to build backlinks have been exploited by webmasters in recent years, and search engines—including Google—have consequently altered their algorithms to penalize sites using less-than-ethical techniques to boost visibility. 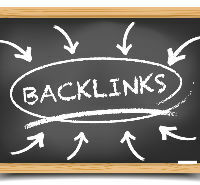 With that in mind here are some tips on how to build quality backlinks in accordance with the industry’s best practices. Without a doubt, the best way to develop an impressive amount of backlinks is by establishing strong relationships with webmasters who maintain sites with a significant level of authority, as determined by Google. But even before you begin developing these relationships, you’ll want to make sure that your site is in top form, meaning your content is well organized and your site’s structure lends itself to intuitive navigation. By polishing your website prior to launching your backlink efforts, you’ll be more likely to persuade site owners to link to your URL, while also boosting Google’s perception of your online presence. If you’ve recently written an awesome blog post that’s not yet appearing on search engine results pages, you might be tempted to immediately start spreading the word about your article far and wide, with the hope of earning some highly valued backlinks. It’s possible, though, that this approach could backfire, as Google might view a rapid rise in backlinks as red flag rather than an overwhelming endorsement. Rather, it’s better to wait for Google to crawl your site and index your new article before focusing on backlinks. It’s not so surprising that social media links can make a drastic difference in the amount of backlinks a particular URL receives. With this in mind, it’s generally a good idea to post your articles on social media sites to increase the likelihood that they’ll be shared and linked to. Beyond that, it’s also a great idea to include your website address not only on your social media profile pages, but using it in your photo descriptions can also have a measurable impact on your ranking and traffic. There’s a lot more to learn about building up an admirable amount of quality backlinks, but now that you know the basics, why not peruse through our other articles about enhancing your SEO.